Martha Thill's experience in real estate consists of over 25 years in the title insurance industry in New Jersey and Connecticut for Chicago Title. Martha began her real estate career in Myrtle Beach in January of 2010. She believes her experience is very valuable to her clients as she has closed many residential transactions over the years and is very familiar with the process. Martha strives to bring enthusiasm and experience to her clients. Martha's husband, Tom, received his real estate license in January of 2015, and they have joined forces as "The Thill Team" to provide greater coverage for clients from Little River to Murrells Inlet. Tom brings over 30 years of experience in sales and marketing. The Thill's have a referral directory to help you with many of your needs when getting your home ready to sell, or once you move in to your new home. 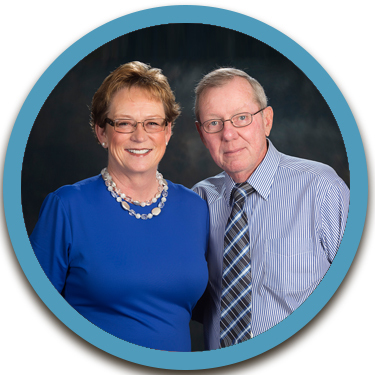 Martha and Tom are residents of Barefoot Resort in North Myrtle Beach and are avid golfers. As you search for your new home on the Grand Strand, let The Thill Team help guide you through the process. Sent several requests from Realtor.com to various agents and she was the only one to respond. Loved her demeanor from the start. Her knowledge of the local real estate market was outstanding. I now consider her a friend and would most definitely recommend her to any person looking to purchase a home. Marie C.